We won’t lie. 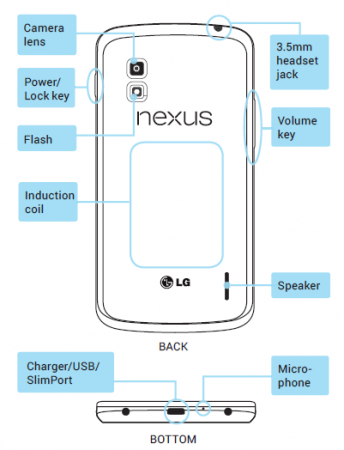 Sometimes you get it wrong, but sometimes, you get it right – and releasing the user manual of the LG E960 aka the Google Nexus 4 before the phone has been announced can be taken as a little of both. Right for us, anyway. The news was first broken courtesy of Engadget and picked up by Android Central. Although we may not be able to see the unveiling this Monday as Google appears to have cancelled the event, the quick start guide does show that the Nexus 4 is using a microsim and has an induction coil in its back to enable wireless charging, a la the other forthcoming Windows Phone 8 hero phone: the Nokia 920. We still don’t have official confirmation of when and how the device will be hitting UK shores to say the least, but if early indications are true then Google itself will ship the 8gb variant and carriers shipping the 16gb versions. Notice the smaller extra icon showing in the Devices option on the left hand side in the UK Google Play store? 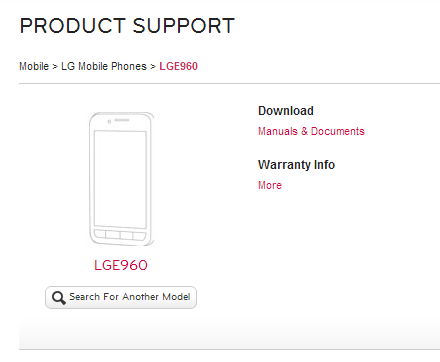 If you want to take a look at the user guide, its on LG’s site right here.